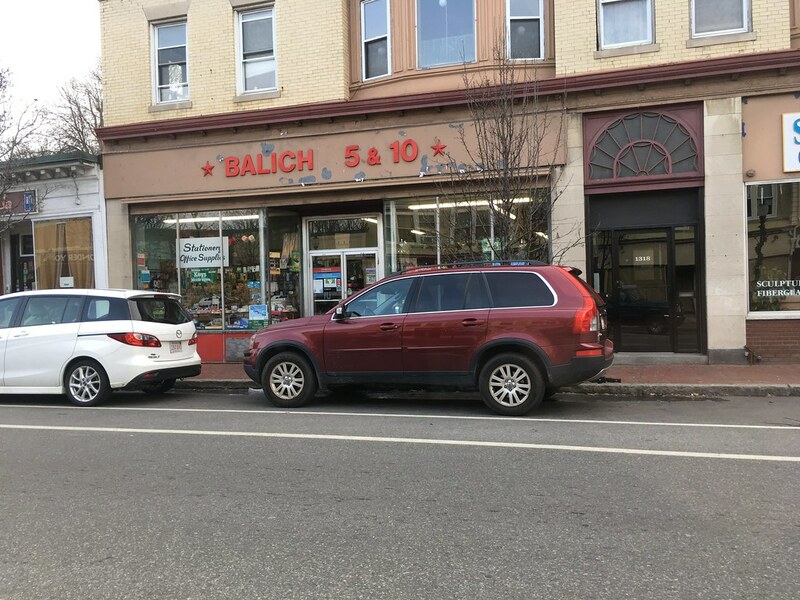 [CLOSED] Balich 5 & 10 – Arlington MA Five and Dime Time! 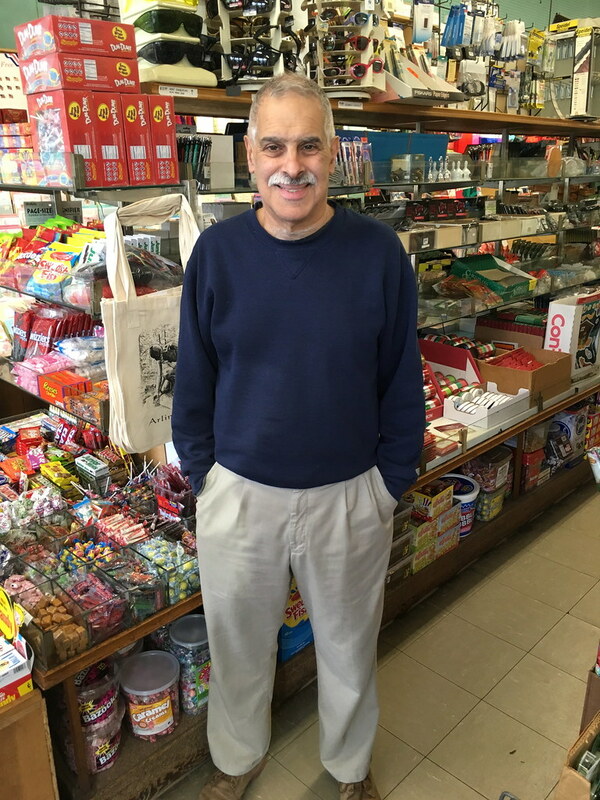 May 2018 Update: Sad to report that Balich’s will be closing within the next few weeks, as owner Joe Balich is looking to retire, according to this Facebook post. Get there while you can, there are discounts to be had, and please tell Joe he did a good job, and to enjoy his retirement! 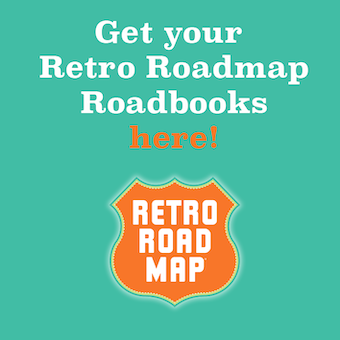 It’s always Five and Dime time here at Retro Roadmap, so when I recalled that there might be a 5 & 10 still in Arlington MA, I used the power of social media to contact an pal of mine from college radio days to do some sleuthing for me. He lives in Arlington and scoped out Balich 5 & 10 for me this summer, sending this awesome photo. 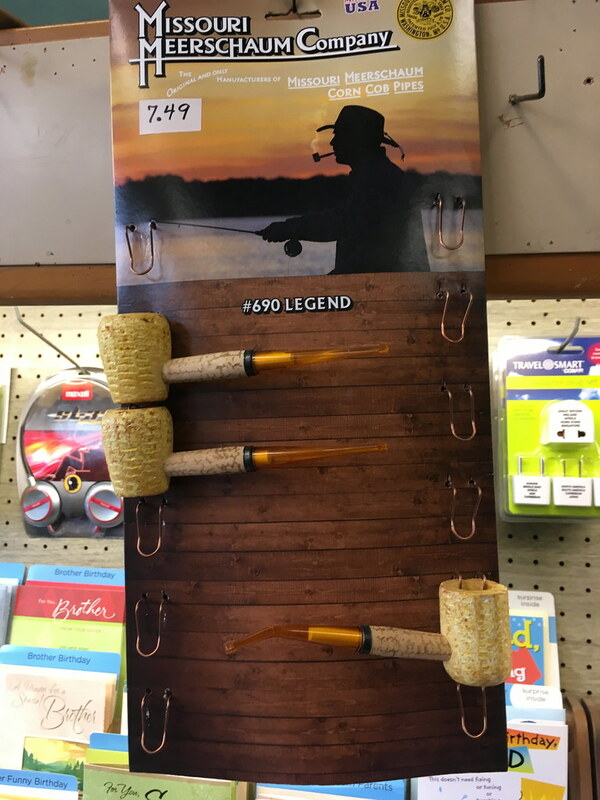 Thanks David Sibel, for the sleuthing and the photos below! 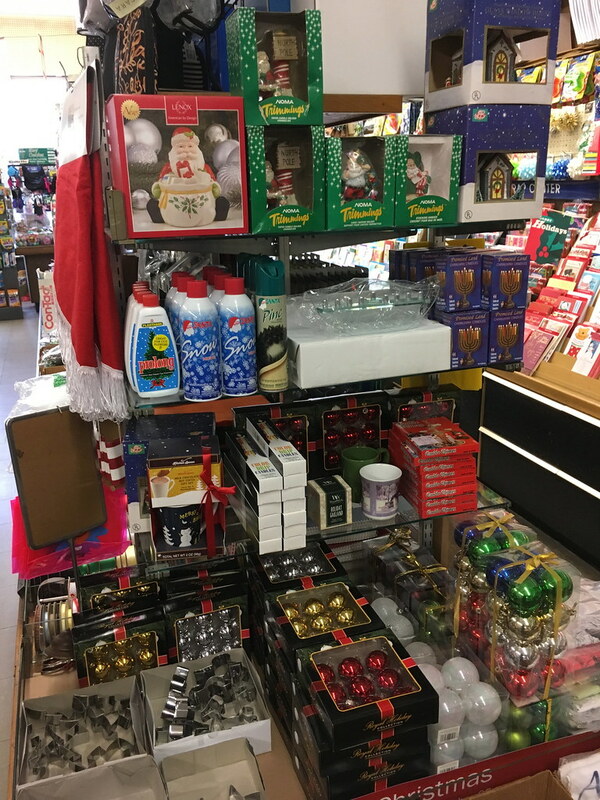 Since it is the holidays I thought this was the best time to put Balich’s on the map, so those of you in the Bay State or visiting it can know where to pick up inexpensive stocking stuffers, hardware in a pinch, thread, little gifts, housewares, toys, cookie tins, and the like. 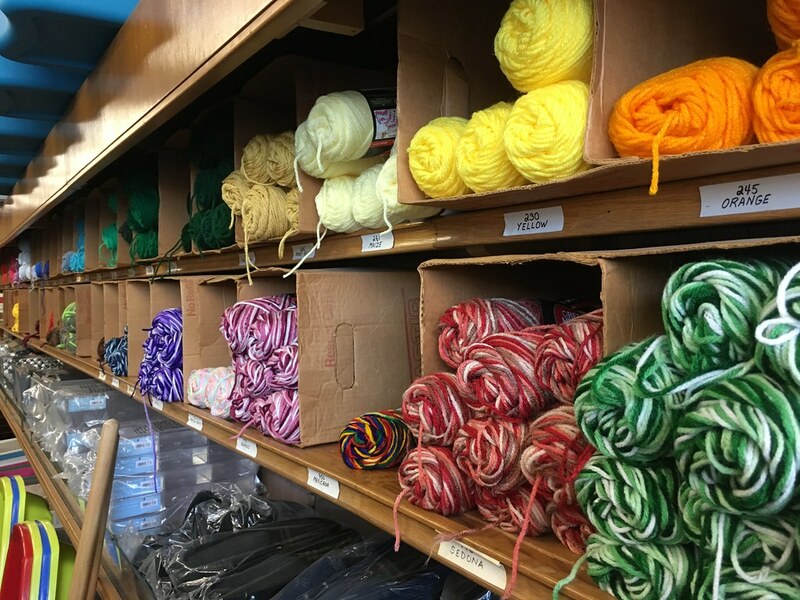 Opened as a five and ten in 1954, the Balich family took over the store in 1972. Joe Balich currently owns it and was kind enough to pose for a photo for David. Hey Joe! 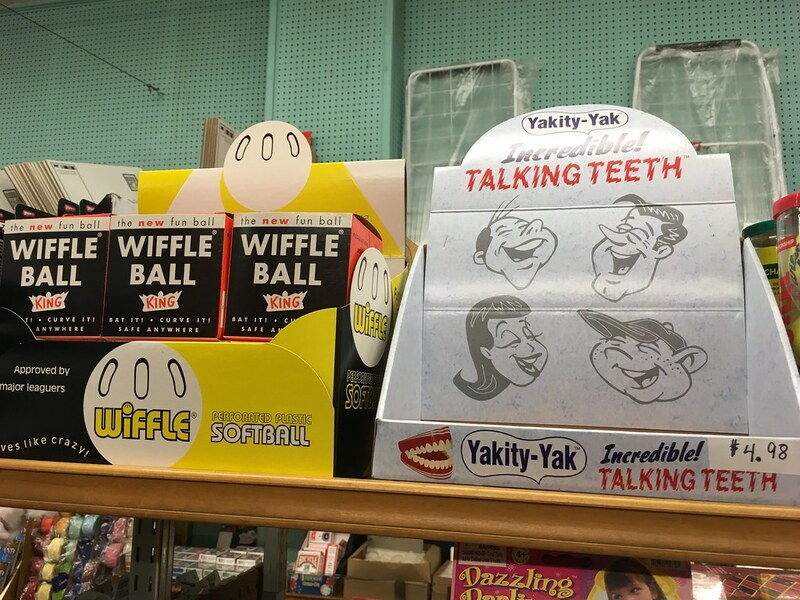 Thanks for keeping the 5 & 10 tradition alive in Massachusetts! 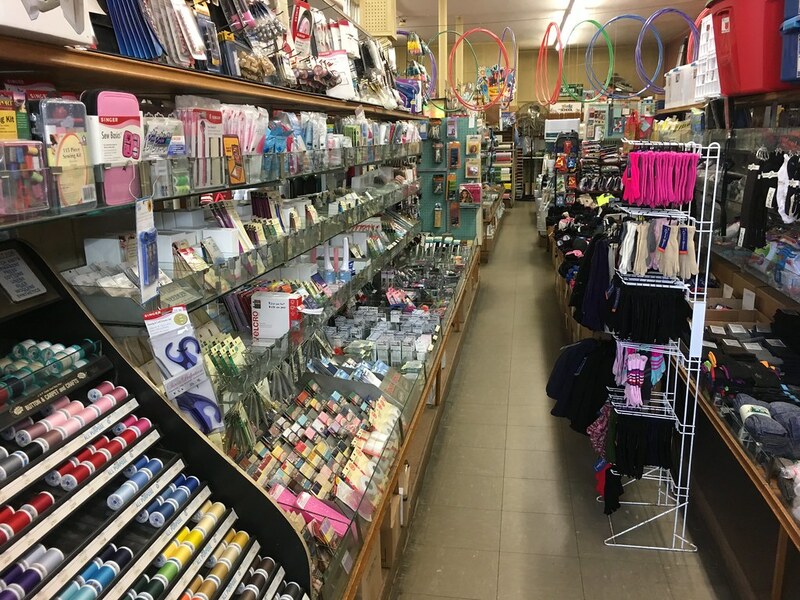 The store is filled with so many fun and useful items in it that the mind boggles! And not just holiday stuff, but handy items year ’round. 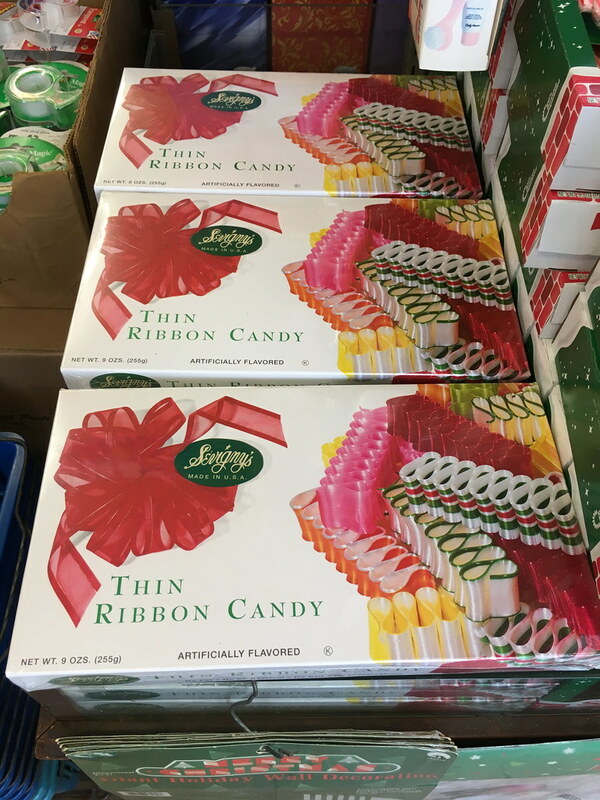 Ribbon candy to doll up your candy dish during the holidays! 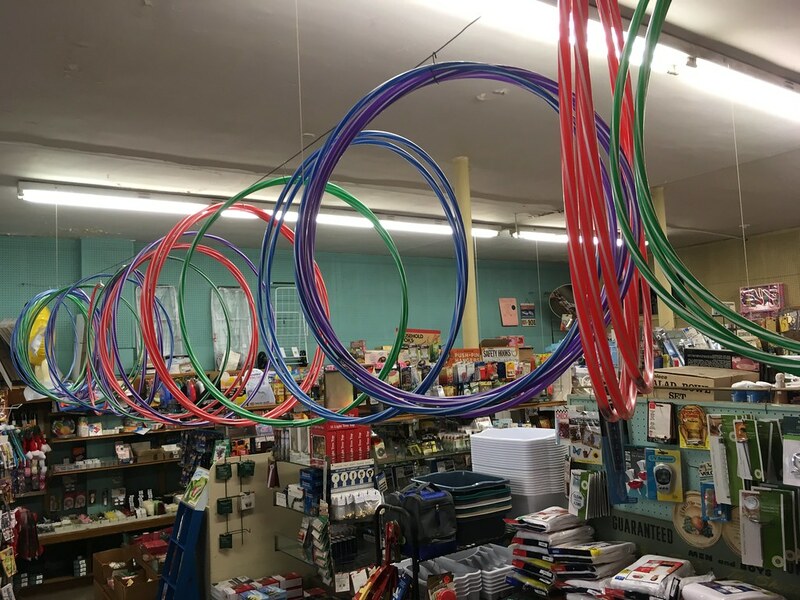 Hula hoops galore! Just don’t practice near the Christmas tree! 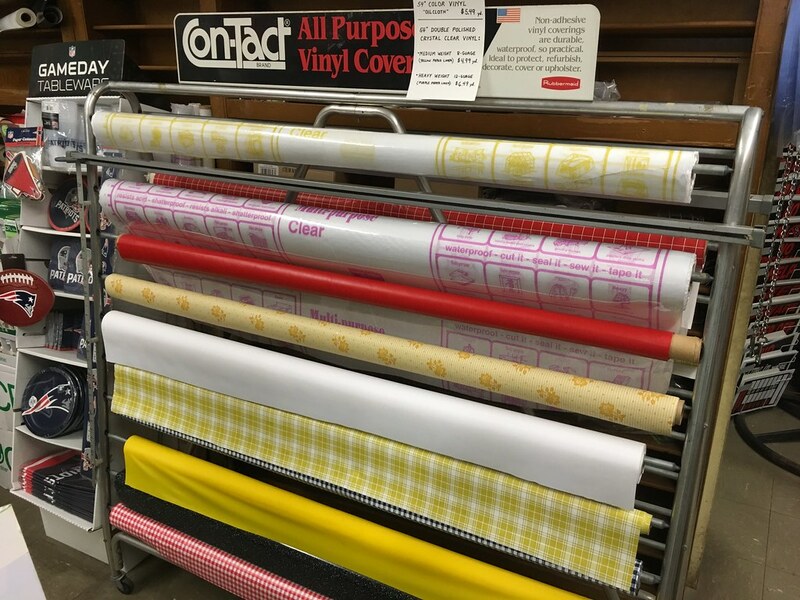 OMG I love this handy clear vinyl on rolls – perfect for protecting your vintage holiday tablecloths from sloppy guests, and “granny the place up” as Retro Roadhusband kids. I’m sure some Etsy-er could rock something hip out of that gingham check oilcloth too. 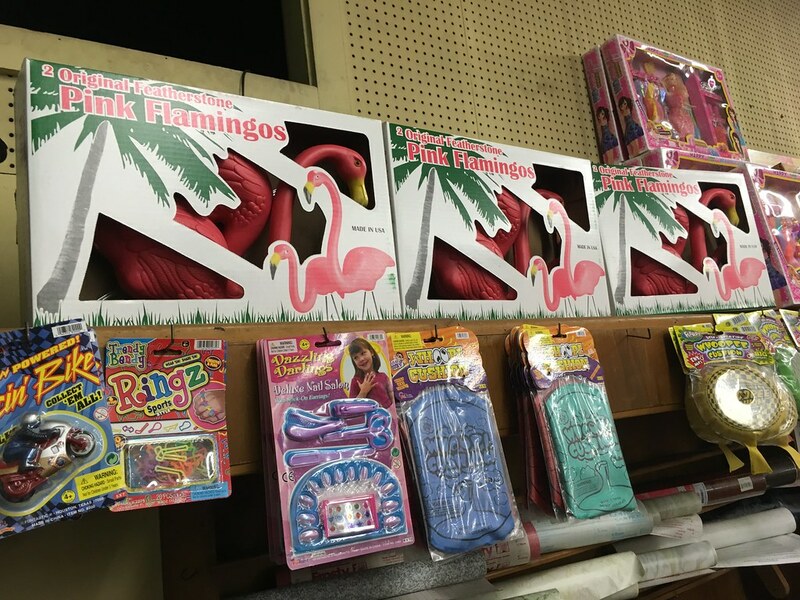 I spy Featherstone flamingos roosting on a top shelf. Mod Betty’s fave bird. Oh, and the ever popular whoopee cushion makes an appearance, much to the delight of everyone’s inner 9-year old. And the best thing?  You can have so much fun without spending a ton!